No major storms are forecast across the country tomorrow, with cold air remaining firmly in place across the Upper Midwest and Northeast. 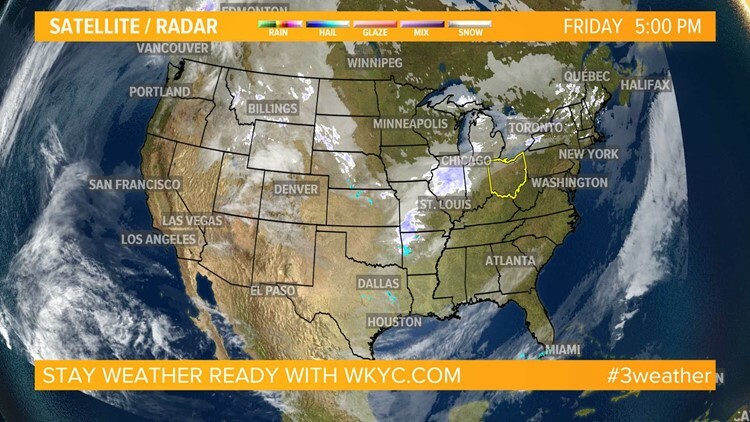 The continued cold will keep snow showers streaming off the Great Lakes. Patches of snow and slick travel can also extend from the northern Plains to part of the mid-Mississippi and Ohio valleys. Rain will soak portions of South Texas, as well as the southern tier of Florida. The balance of the Southern states can expect dry, sunny weather this day. Tranquil weather will prevail for much of the West. Offshore winds will result in a rather mild day across California. Winds may be strong enough in Southern California to result in sporadic tree damage and power outages.